Perioral wrinkles, sometimes referred to as “smoker’s lines,” are a common type of wrinkle that can appear around the mouth. These usually appear as fine or deep vertical lines along the rim of the top or bottom lip and give a web-like appearance. These wrinkles are caused by both intrinsic and extrinsic factors including a person’s genetics associated with the process of aging, chronic exposure to UV rays, and smoking. Specifically, the motor action involved in smoking creates an added movement and stress to already aging skin, causing the perioral region to lose volume and structure. Because of how a person smiles, frowns, laughs, or creates other expressions, sometimes more on one side of the face than the other, facial lines tend to be asymmetric. This, along with their unwanted association with age, makes the appearance of wrinkles one of the most popular aesthetic concerns among the middle to higher-aged population. Luckily, there are solutions to diminishing the appearance of wrinkles; one of the most common methods of treatment includes Botox injections. The Botox cosmetic is widely used to combat wrinkles in many different areas of the face, including lines around the lips. Botox is a medicine that can safely be injected into the muscles to improve the aging appearance of lines around the lips. Botox works by blocking the nerve impulses that would normally tell the muscles to move, creating creases in the skin. When the muscles are refrained from contracting, these creases will diminish. Botox can be carefully injected into “smoker’s lines” around the mouth area, and help to smooth its appearance. Your problematic wrinkles, including the perioral wrinkles around your lips, that are bothersome and unsightly can easily be treated. The Botox procedure process is extremely simple; it takes literally minutes to inject the product and leaves the patient feeling little discomfort, if any at all. There is also no down-time associated with this “lunch-time procedure” and patients are able to resume normal daily activates the same day of treatment. 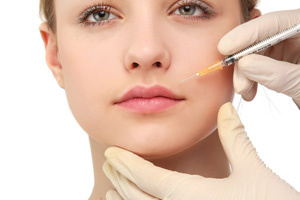 Although the procedure is quick and simple, any practitioner who performs Botox injections still needs to be fully trained and educated in everything about the product, including the techniques associated with injecting different areas of the skin, proper usage of the medicine, and any precautions that should be taken. At Botox Houston, Dr. Pappolla and all other medical professionals at the treatment clinic are fully educated in all this and more. We have administered numerous successful Botox injections, resulting in smoother and younger-looking skin in many happy patients.